These Quick Party Tips offer a variety of suggestions on how to plan a spectacular party for both children and adults. 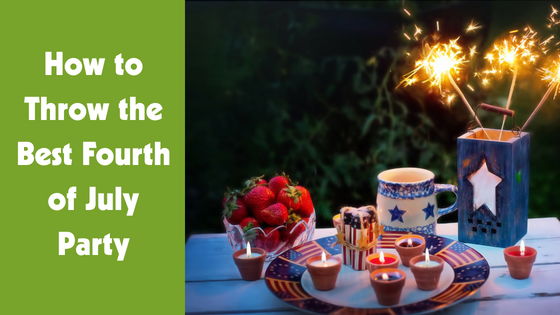 The fourth of July is easily one of the most exciting holidays of the year, and everyone likes to enjoy the sunny weather by celebrating outside with plenty of food, friends, and fireworks! But just like with any holiday, it can be a bit stressful – especially if you plan on throwing your own celebration rather than attending one this year. If you want to throw an Independence Day bash that is kid-friendly and parent-approved, you still have plenty of time to organize a successful party. Your friends at Game Truck Richmond have compiled five expert tips for throwing the best July 4th party this year! It’s easy to get overwhelmed when trying to arrange the best Independence Day party for your guests. Make sure you keep a checklist so that everything you plan can be easily checked off. Don’t forget to create a guest list to project how much food you need to prepare and how to arrange the party layout. And remember to set your budget ahead of time so that you don’t get carried away! Regardless of whether you plan your Independence Day bash to be inside or outside, it’s essential to check the weather. Thunderstorms can quickly ruin an outdoor party, so plan to have a backup option! Make sure an indoor space is ready if needed. Let’s cut to the chase here – a party lacking food can turn from good to bad in seconds. Make sure when preparing for your guests that you make (or order) food that is easy to eat; otherwise, your party goers will want to wander around and eat on the go. Burgers, hot dogs, fruit kabobs, cookies or brownies are all simple foods that are incredibly delicious for both kids and adults. Thinking of party games for kids can be a difficult task because you want to ensure that kids of all ages are having fun. Fun and age-friendly games such as laser tag, water tag, and bubble soccer are simple and will keep the kids entertained for hours. But if you want to get bonus points for party planning, book Gametruck Richmond and ensure that your guests stay entertained for hours! It can’t be a Fourth of July party without fireworks, can it? If your state allows it, you can purchase and set off fireworks from the comfort of your home. If this isn’t the case, you can plan the party accordingly so that your guests can walk or drive to a nearby fireworks show! Planning a party by yourself can be a hassle – so don’t! The team at Game Truck Richmond will be your party planning partners. With our mobile gaming theaters and arenas, we can take the fun anywhere – rain or shine. 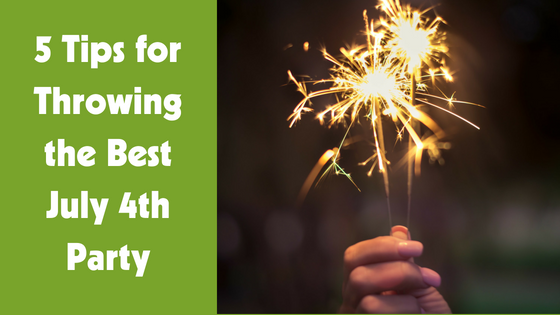 Throw the best kid-friendly July 4th party this year! Call us at (866) 253-3191 or contact us here.